Johnny Blue is an expert in the grocery industry with a deep understanding of the dynamic changes occurring in the retail landscape as new competitors flood the marketplace. Coming from a multi-generational family of real estate professionals, and an academic background in management information systems, Johnny Blue leverages relentless salesmanship through the power of cutting-edge technology. Fueled by his insatiable desire to learn and improve, Johnny Blue serves his clients with honesty and integrity. 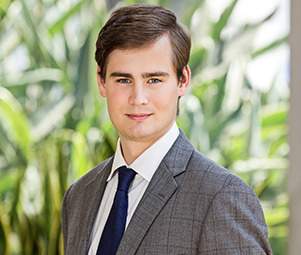 Prior to joining the Matthews team, Johnny Blue was a sales associate at Craig Commercial Realty in Tallahassee, Florida while obtaining his undergraduate degree from Florida State University.